The main objective of hosting a trade show booth is to get your name out there, and turn prospects into clients; meanwhile, trade show attendees are faced with information overload from a slew of your competitors. So, how do you get around the problem, grab attention, and ensure that your press kit ends up in the hands of your prospects? And, what can you do to keep it from being tossed in the trash when it gets there? Custom USBs sideline information overdose and attract attention, while putting the critical content you want to get across to consumers right into their hands. 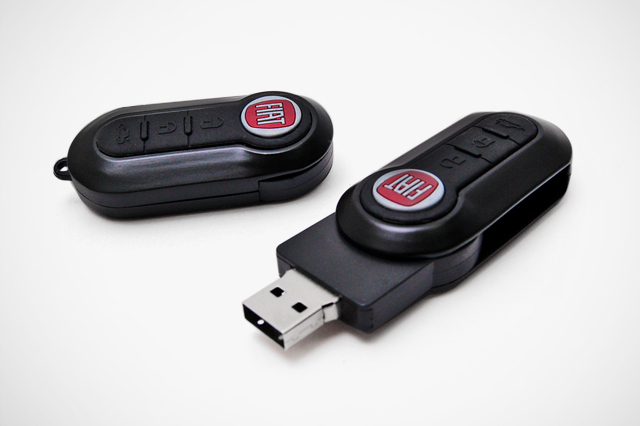 Customized USBs offer businesses an effective, low-cost tool for attracting attention in a sea of information. Studies show that including a promotional offer at a trade show increases the likelihood that people will swing by your booth. [i] In addition, research shows that if you spend more money on the product, the number of leads increases incrementally. You don’t have to resort to sleazy sales tactics to get attention at a trade show. Just design a customized USB. Word will quickly get around, and people will swarm your booth for one. Another great example of recreating a product that commands an audience, Hot Wheels worked with CustomUSB to recreate one of its trucks. [iii] A promotional product like this one garners amazement and excitement in a crowd of trade show attendees, where word-of-mouth gains traction for your business. Other possibilities include creating USBs in the shape of wrist bands, a key, lanyards, business cards, or 100% custom shapes – the options are truly endless. Your press kit or marketing information USB should include critical components like a press release, high-quality logo images, fact sheet, and contact information. But, there’s another advantage to using USBs as the trade show traffic driver. They’re environmentally friendly, and some demographics are attracted to eco-friendly companies who go the extra mile to conserve natural resources. Instead of wasting paper printing out a media kit, you can install everything you want consumers to know on the space-saving, environmentally friendly USB. Make your commitment to conservation apparent by choosing a wooden flash drive or paper-based USB made from recycled materials. With a customized USB by your side, you’ll give trade show traffic a direct path to your booth so you can drive leads and increase sales. There’s no better time to talk to a representative from CustomUSB. We are the industry leaders for customizable USBs, audio and mobile products, and other accessories. Call us today to ask about our design, security and data loading services.